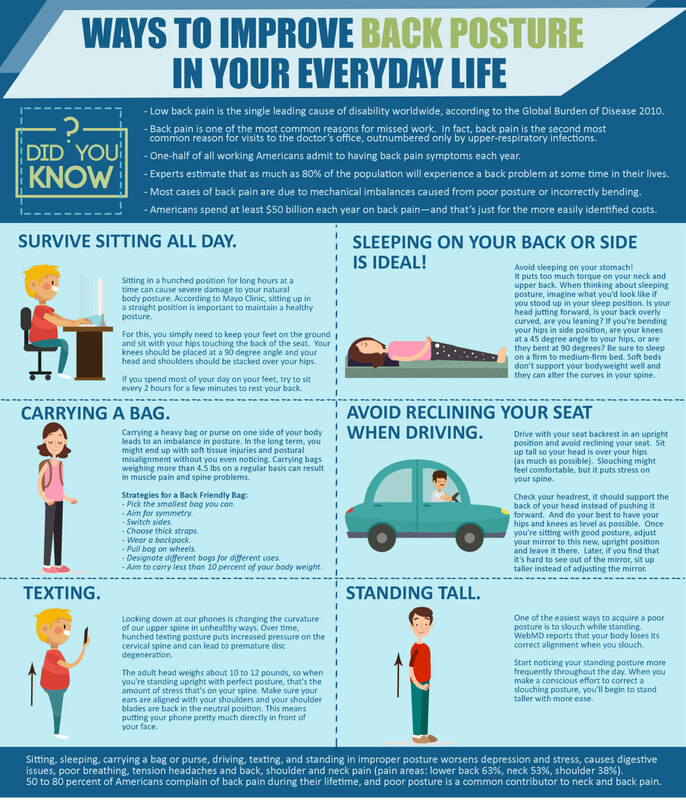 6 Ways to Improve Your Posture : Working for a 9 to 5 job definitely entails sitting and continuously staring in to a computer screen. We all are guilty of sitting straight for a bit and then slowly lazing back into slouching. This not only severely strains your eyesight, but also affects your overall posture. 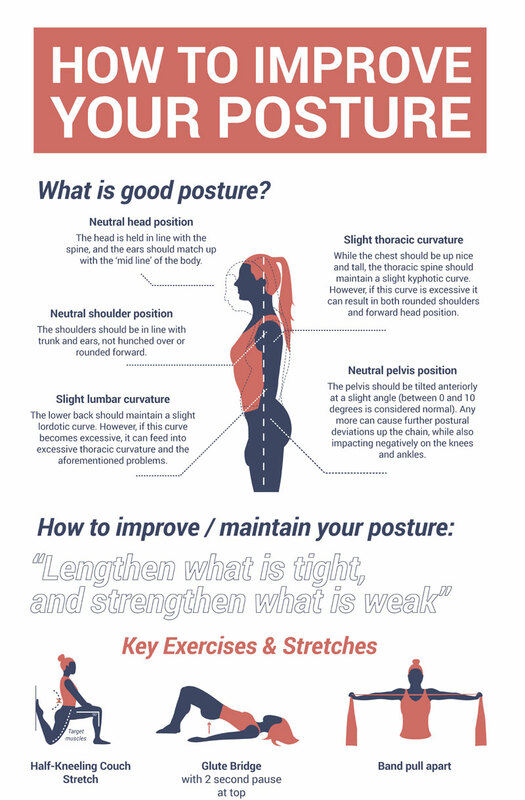 Having a bad posture can cause long term health issues. It can lead to chronic lower back pain, increased stress, poor circulation, poor digestion, fatigue and more. The body is made to move. So it is absolutely essential to keep it moving for it to function properly. 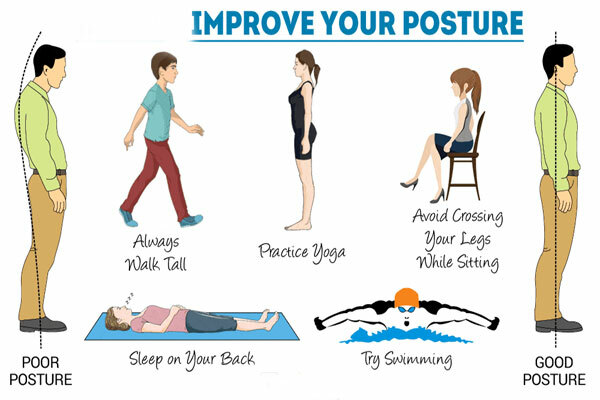 Even if you have a desk job, you can easily incorporate some exercises to keep up your posture. Avoid continuously sitting still for over an hour. Just get up for a minute, stretch or take a short walk. This will not only get your blood circulating, but will also enable you to concentrate better. Even if you don’t have time to go for a walk, you can simply stretch your calf muscles while sitting down. If you are someone who is required to wear high heels on daily basis, then it is important for you to take care of your posture. Bad quality or uneven footwear can cause serious back issues. Instead of putting on high heels immediately as you leave for work, you should wear a comfortable pair of sneakers for the commute. Once you reach your workplace, you can switch to heels. This will give your feet and back the much need relief. Also, you can take off your heels when you’re on your desk and stretch your feet and ankles. The two ways stated above can only help you with prevention. However, if you are already suffering from serious back issues, then it is time to get some professional help. Incorrect posture makes some muscles short and tense, while makes others overstretched and weak. Osteopathy helps release this muscular tension. It has articulation techniques, which include slow movement of the joint of the spine and limbs. An osteopath uses techniques for muscle lengthening and stretching. These expert methods resolve back and neck pain caused due to incorrect posture. You can easily find an osteopath in London or wherever you are. We’ve all been taunted by our parents to sit up straight or walk with straight shoulders. And guess what? They were right all along. It is crucial to not slouch. The more you let your back relax in strange angles, the more issues it will cause. So sit up straight, walk with a straight back and stop slouching over your phone! It is such a treat to sleep on a cloud-like mattress- soft and springy. But does it do any good for your back? The answer is no! You have to be a bit strict with yourself and invest in a firm mattress, which will help maintain your spine’s natural shape. Not only will the mattress last you for a lifetime, it will also ensure the long term health of your back. 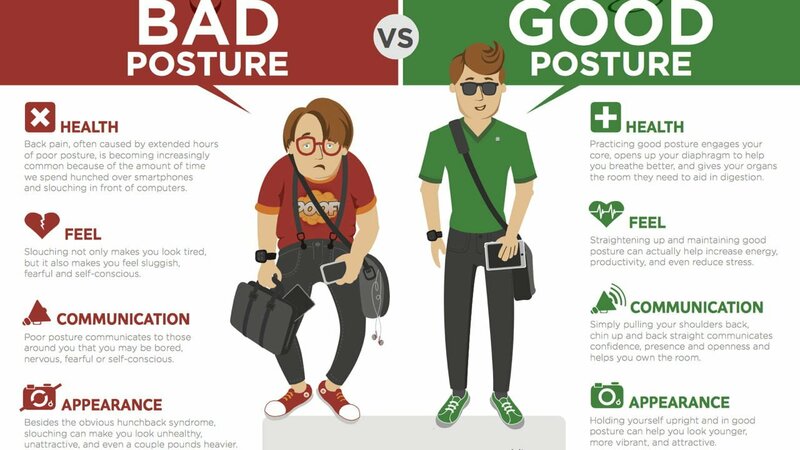 Since technology is essentially the root of bad posture in these modern times, why not let it help you improve it? You can download apps on you smart phones, tablets and laptops, which will warn you as soon as you start slouching. We all spend most of our waking hours staring at a screen, so it is only fair that the screen reminds you to sit up straight! How To IMPROVE YOUR POSTURE | Fix Rounded Shoulders | 5 Best Exercises!! Great Post! Very helpful. I am researching to develop my mind and soul. Every single day I wake up early and take deep breathe about 30 mins. I feel very healthy to take fresh air in the morning. I got another helpful video and resource to develop my mind.